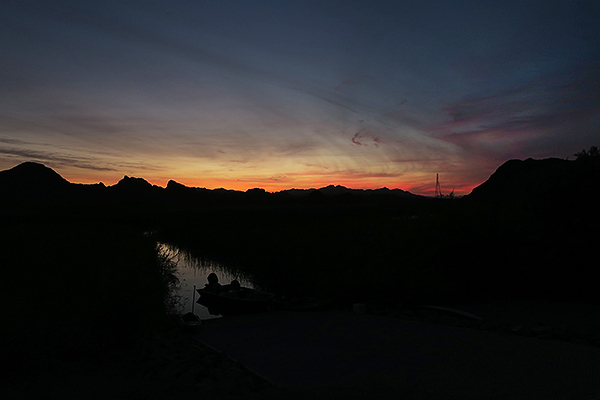 One of the places we wanted to check out here on our Colorado River kayak fishing adventures was Picacho State Park in southeast California. 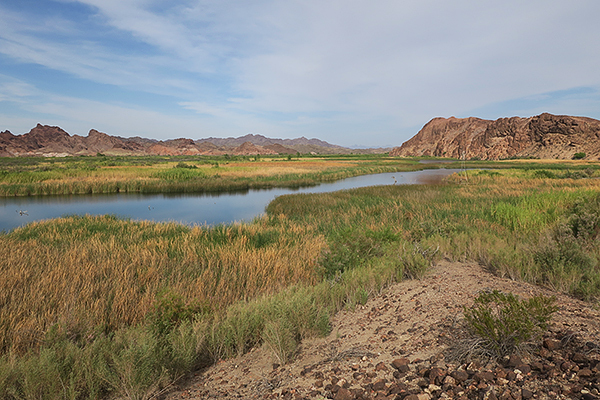 Picacho is an old mill site on the California side of the Colorado River, now it’s a state park. It has to be one of the more remote parks in the state of California. 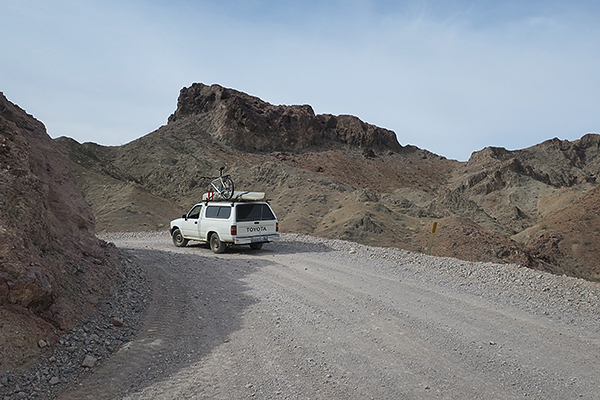 You can only get there by boat on the Colorado River, or an eighteen mile trip over a sandy, rocky and rutted dirt road. Depending on how long since the road has been graded, it can be a pretty bumpy ride for trucks, I don’t think a car would be a good idea. 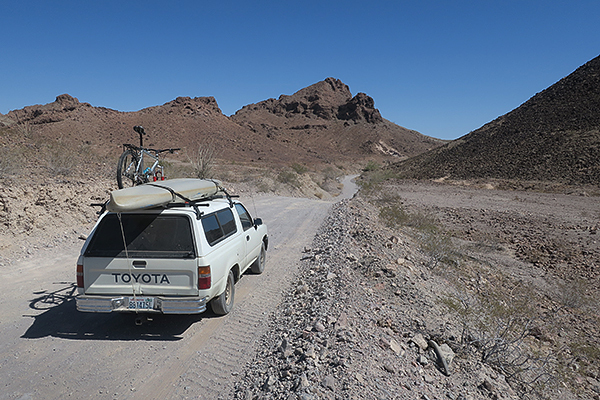 Even in the trusty Toyota pickup, it was a slow haul to keep the truck from rattling apart. There was a section of pretty deep sand wash where it was gassit and keep the truck on the road. Reminded me of our many trips to the corners of Baja looking for waves. Taylor Lake is one of the many Colorado River backwaters, it’s a beautiful place. We had the place to ourselves for a little while until a few other fishermen from San Diego County showed up. A couple of them were kayak fishermen, all cool guys. We did a lot of fishing and a good time was had by all. Taylor Lake is a beautiful lake, perfect for kayak fishing. Even on windy days, the tall reeds provide wind shadows all over the lake. One end of the lake is a huge rock wall. The lake is ringed by reeds and floating grasses. There are submerged trees throughout the lake. We caught sunfish, bluegill and largemouth bass in Taylor Lake. There are also catfish and plenty of carp. I think carp may be the most common fish in the Colorado River system. We were told the largemouth bass don’t get very large here, but I hooked and lost a fish that was probably a bass that was at least a couple pounds. Most of the largemouth bass we caught were hard fighting “one pounders”. 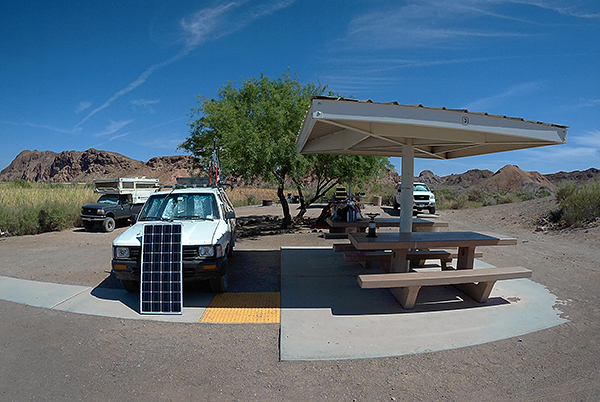 Taylor Lake was nice, but we were here for a look at the fishing on the Colorado River itself. The river here is pretty wide. The river flow depends on water releases from upstream dams, but the days we were there, the current was steady and moderately fast. 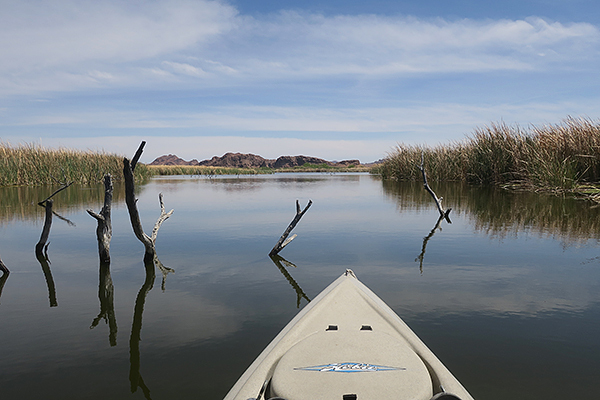 A full day of paddling here will leave you pretty worn out. The water was 70°F and very clear. The bottom was sand, just like the desert on either side of the river. 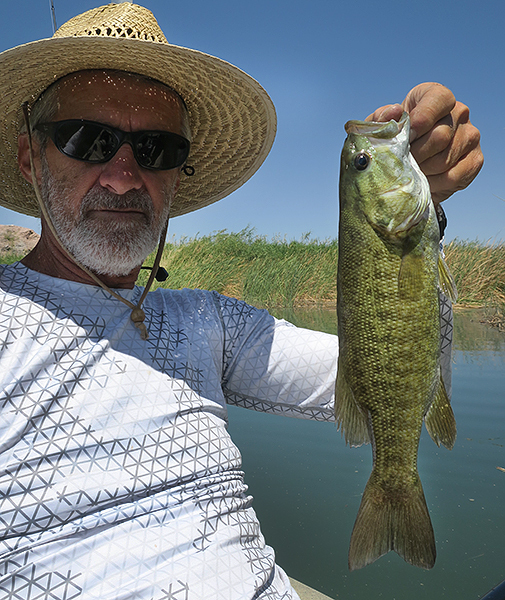 We did find a few small largemouth bass on the Colorado River, but with the swift current, it did not seem like ideal largemouth bass habitat. The kind of habitat more suited to smallmouth bass, and that’s what we found; plenty of nice sized, hard fighting smallmouth bass. This is the southern limit of their range. 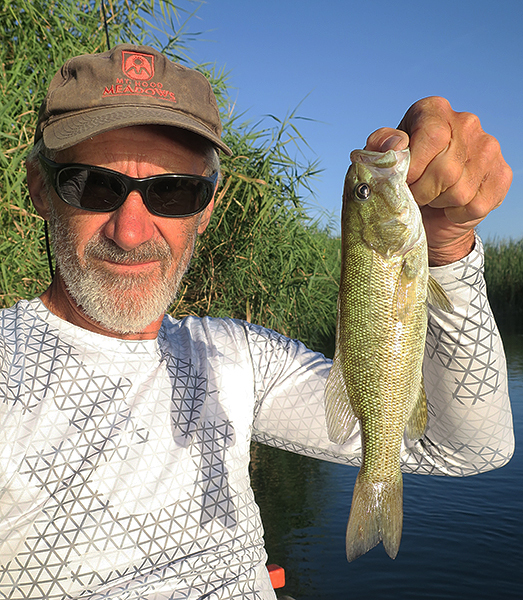 Always happy to see smallmouth bass, it was a great day of fishing. 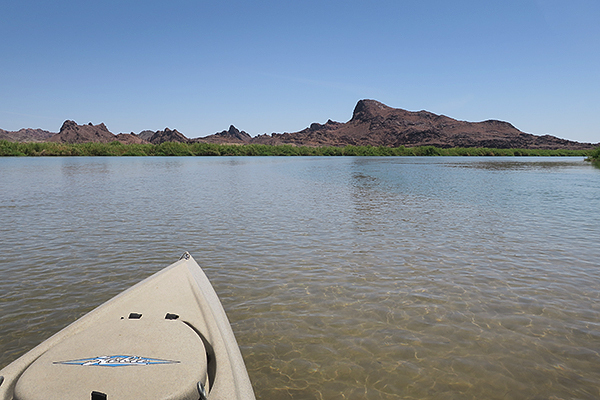 After a few days of fun kayak fishing, great desert scenery and evading mosquitoes, it was time to load up and get ready for the long trip out of Picacho. Up at sunrise for one last photo, load up and head down to the solar shower before heading out. 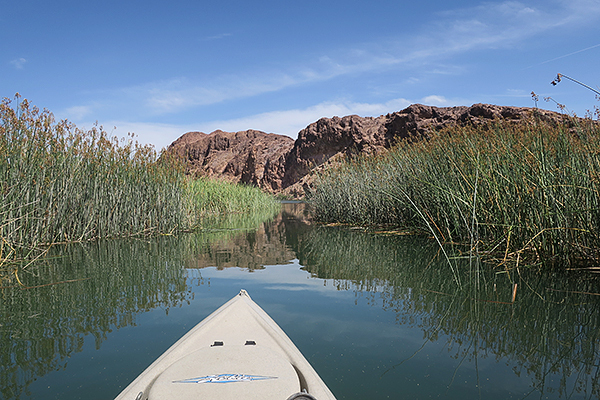 Check back for more kayak fishing adventures from the Colorado River in the southwest US.